Members have made outstanding gains after major changes behind the scenes. Our new tech developers have significantly increased the betting value of our various form models for both Flat and Jump racing. We have seen major improvement in our statistical analysis and strongly believe that this will have an extremely positive effect on future profits. Henry averages around two to four high value bets per week during the year, with an average stake of two to three points per bet. 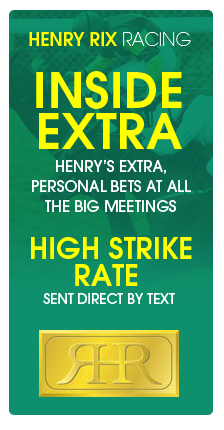 Henry bets at £200 per point but members can allocate any amount they wish. Inside Extra has been hugely successful – a blend strong information from our wide range of shrewd contacts and rock solid form analysis. 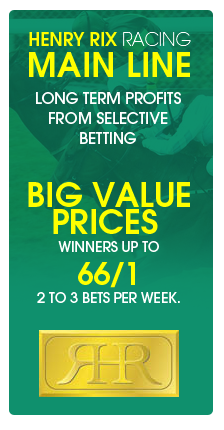 Perfect for those who wish to have more than just the Main Line bets during the bigger meetings, we recommend that all members take advantage of this excellent service. Information will be sent to members directly via text message usually after 12 midday. Updates are expected during the main festival meetings and most Saturdays throughout the year. Big profits from high strike rate selective betting. One to two specially selected bets per month from excellent sources. All information is sent via text message and, unless otherwise stated, all bets are MAXIMUM five points win. Inner Circle members have made massive profits and backed an extraordinary 13 WINNERS from 22 bets in the last three years. That’s an incredible 59% strike rate and 99% PROFIT ON INVESTMENT. 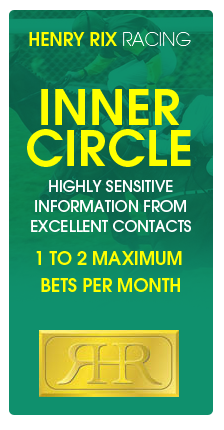 Inner Circle is a vital part of our package for high staking members.